"Just thinking what a difference a week makes." Those were some of the first words my Dad said to me this morning when I told him that I had finally tracked down an elusive matte black Apple iPhone 7 Plus. At 5:46 this morning I was able to purchase a Sprint edition iPhone 7 Plus with an in-store pick up reservation. And, as usual, my Dad was right. Last week, after missing out on the launch day shenanigans that has become my small scale WWDC-like event, I was in a pretty rotten mood. After all, I thought I did everything "right". I marked the iPhone 7 Plus as a favorite in the Apple Store iOS app, I work up at 2:50am on pre-order day (Friday, Sept. 9), and make sure everything was up-to-date for my Apple Pay credit card. But alas, as soon as I was able to get into the store app to place my per-order, the iPhone 7 Plus was already showing a three week backorder. Fast forward six miserable days later (just ask my wife and kids), and it's a whole new ball game. 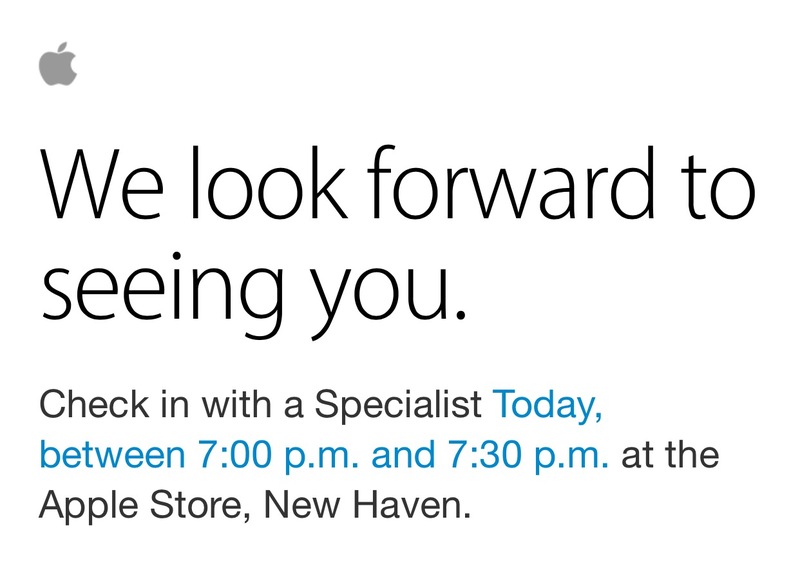 While I am still disappointed that I missed the launch party, I am still pretty excited that I am finally getting my new iPhone 7 Plus today. I still get to wear and Apple Store t-shirt. 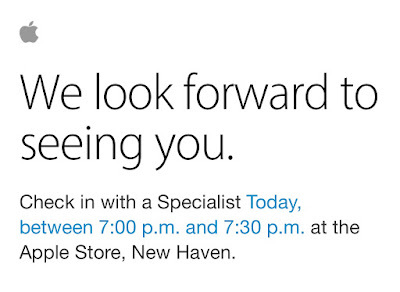 I still get to pick up my iPhone in person at an Apple Store. And my Dad will be there with me. Not to shabby for the first full week of iPhone 7 sales. To my fellow Apple nerds who are still trying to chase down an iPhone 7 or iPhone 7 Plus, it would seem that supply is starting to loosen up. My recommendation is to use the iStockNow.com website to see which Apple retail stores have iPhone 7 inventory. Once you find a store, use the iOS Apple Store app to make your purchase and pick up reservation. Looking ahead to next year's 2017 10th Anniversary iPhone, I am planning on pulling out all the stops to make sure I don't miss launch day again. I am planning to do the pre-order shipping directly to my home and then arriving at a local Apple Store at Zero Dark 30 (anytime after 3:00am) to get in the walk ins line. Crazy. I know. But I am a Smartphone Fanatic, after all.